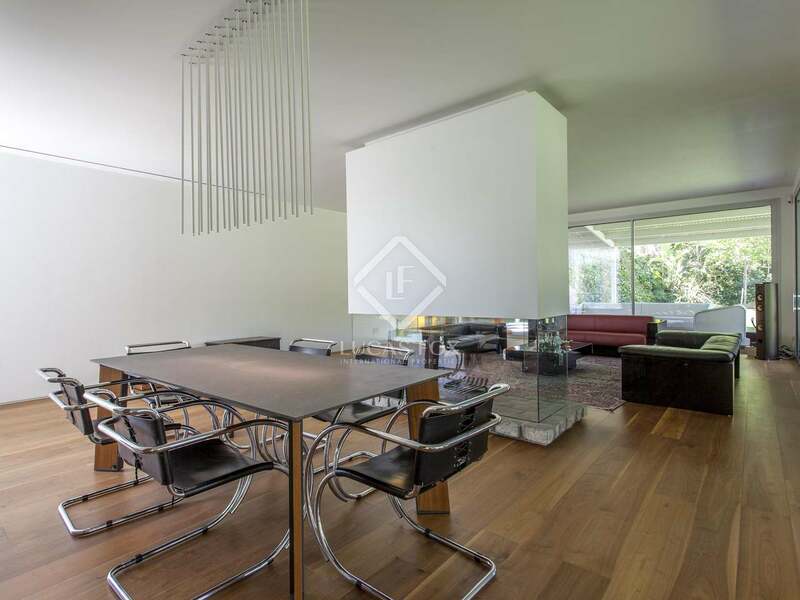 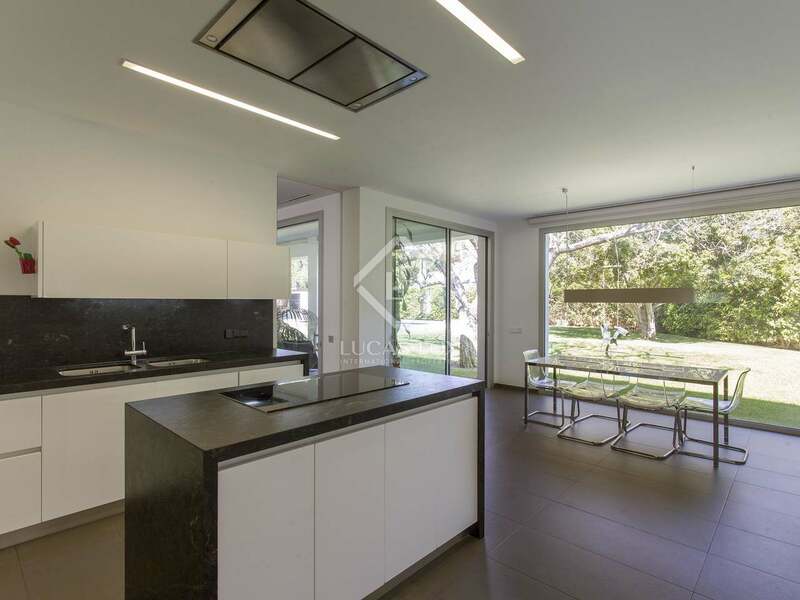 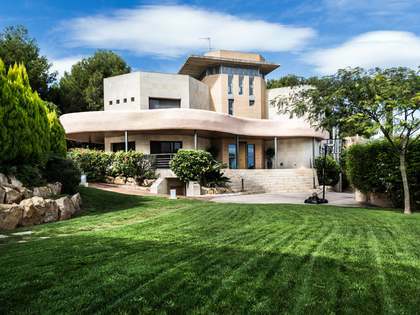 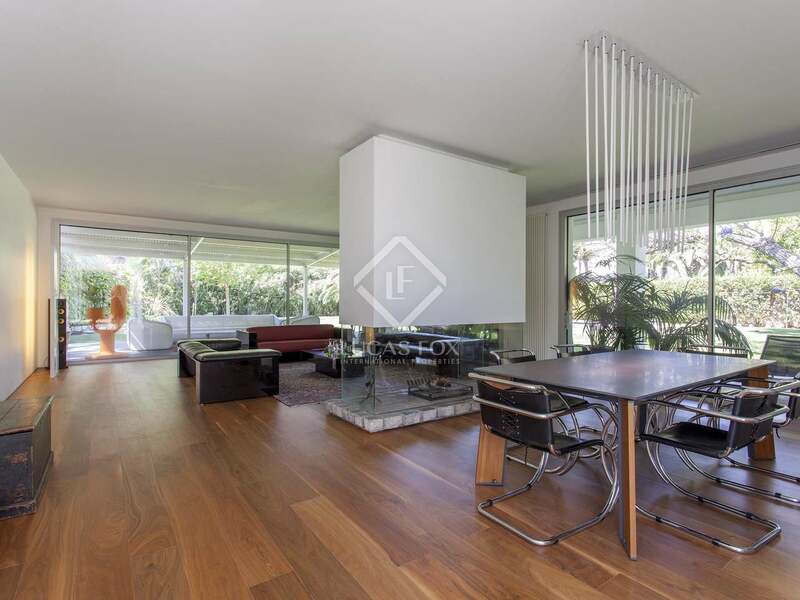 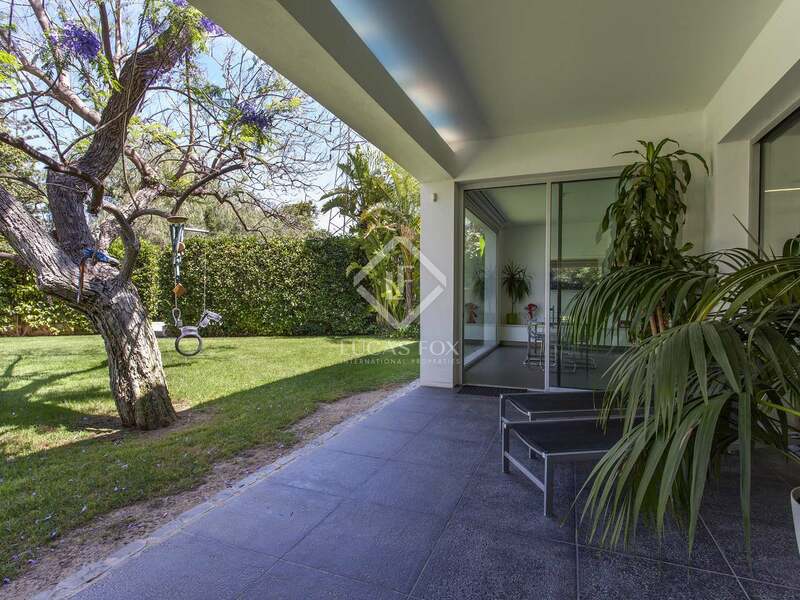 This beautiful 775 m² house is located in the Santa Bárbara de Rocafort residences, one of the best developments in Valencia. 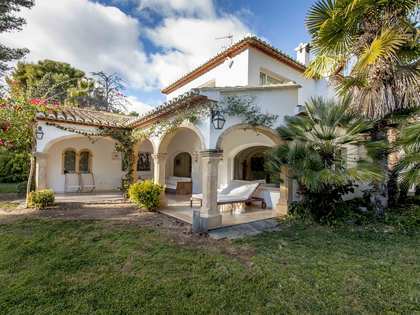 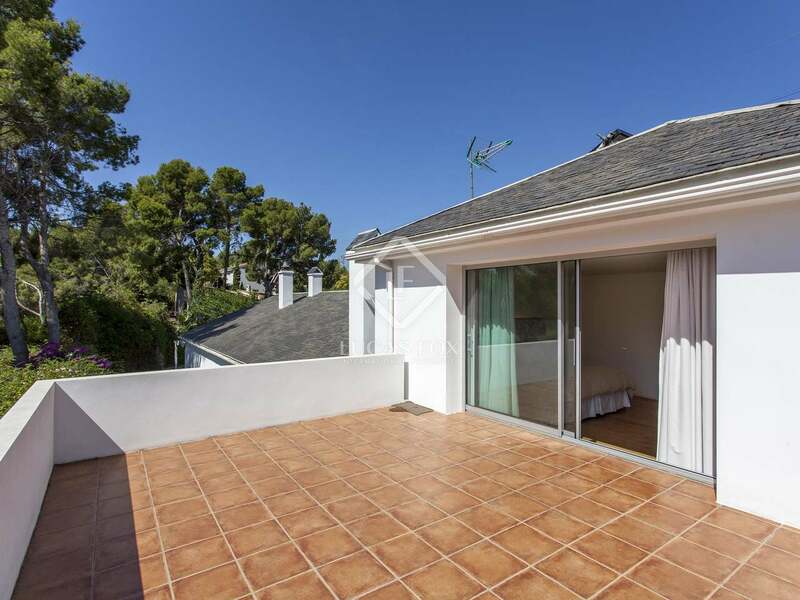 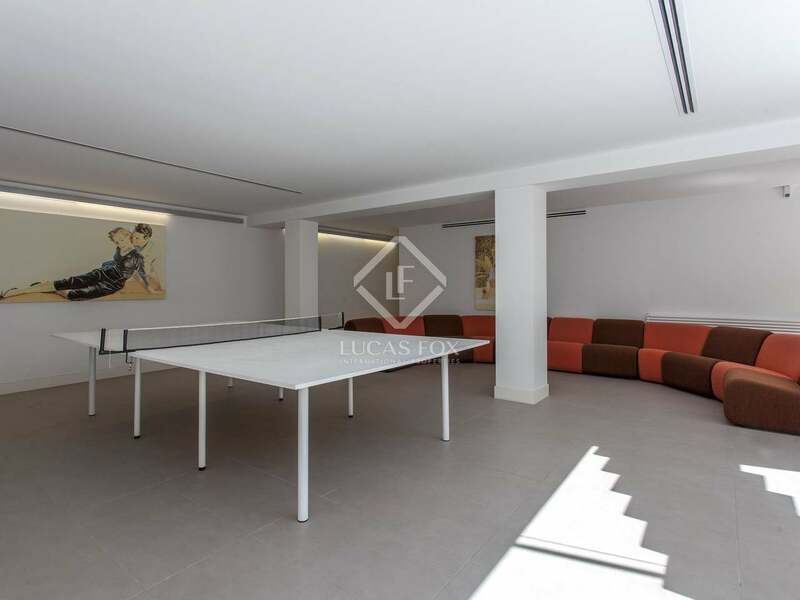 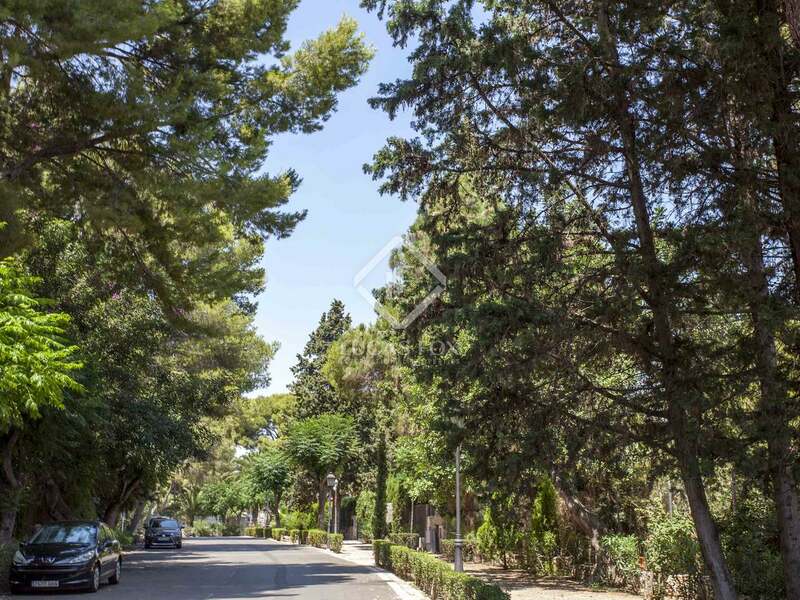 It is close to the Spanish Tennis Club and the prestigious Cambridge International School, making it ideal for families. It is a very spacious house with simple and modern lines, with quality finishes and large windows giving it a lot of light. 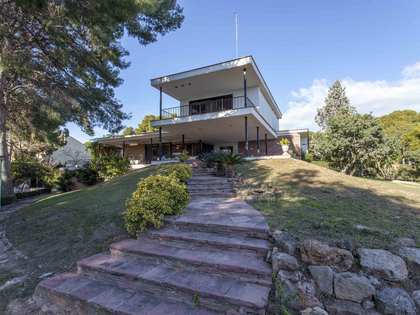 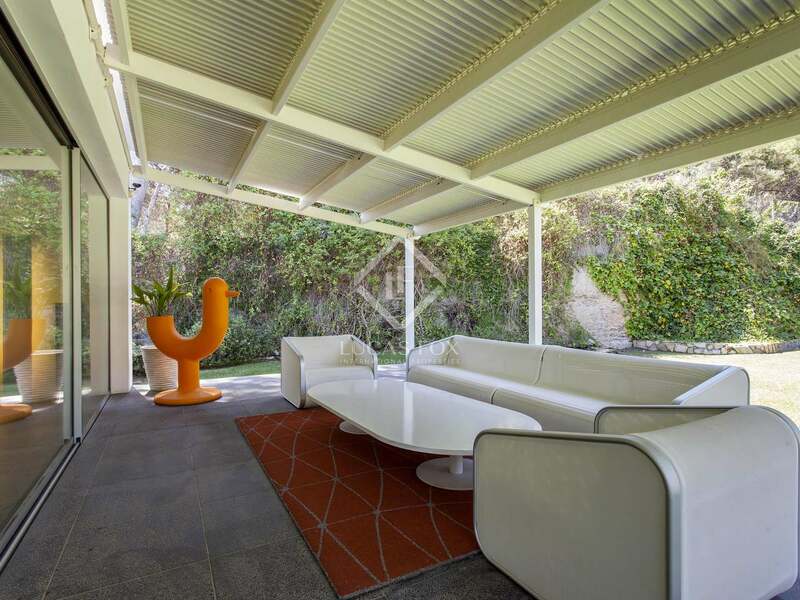 It was built in the 1970s, but has been completely renovated. 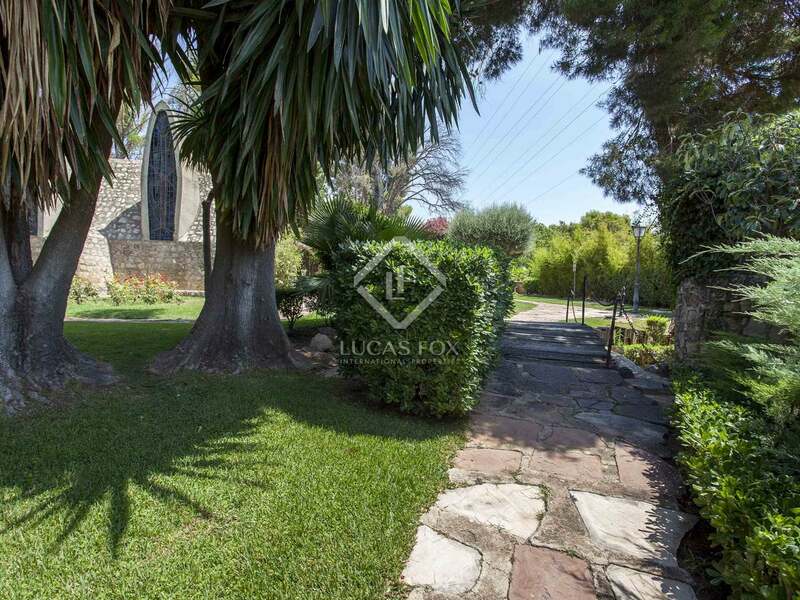 To the front of the house we find a garden area composed mainly of a lawn and a paved area for access by people and vehicles. 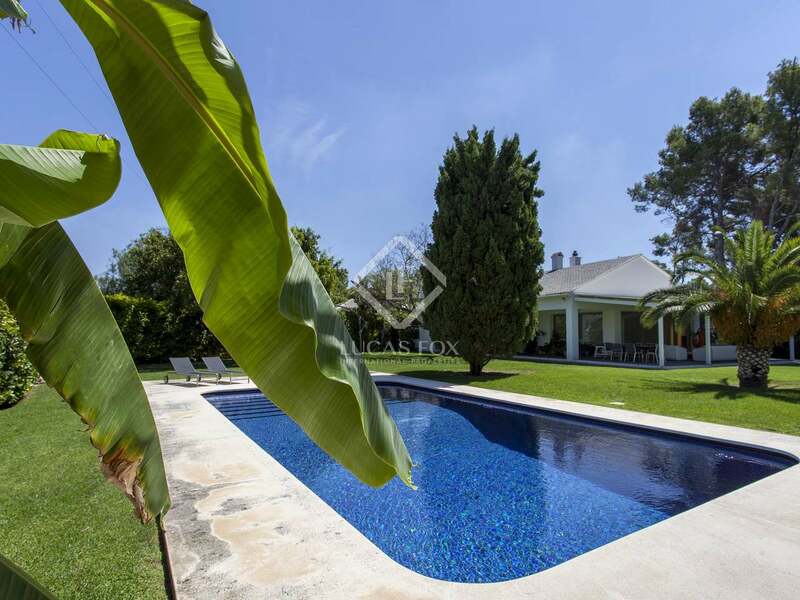 The garden continues in the back, with a wide expanse of lawn, a pool and barbecue area, and is ideal for celebrations with friends or family in the summer months. 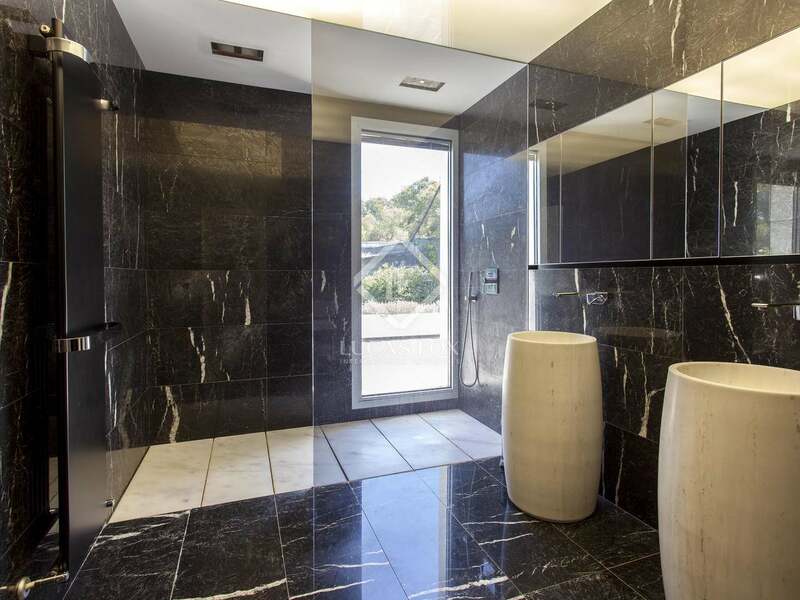 Next to the pool area you will find showers and a toilet for your maximum comfort. 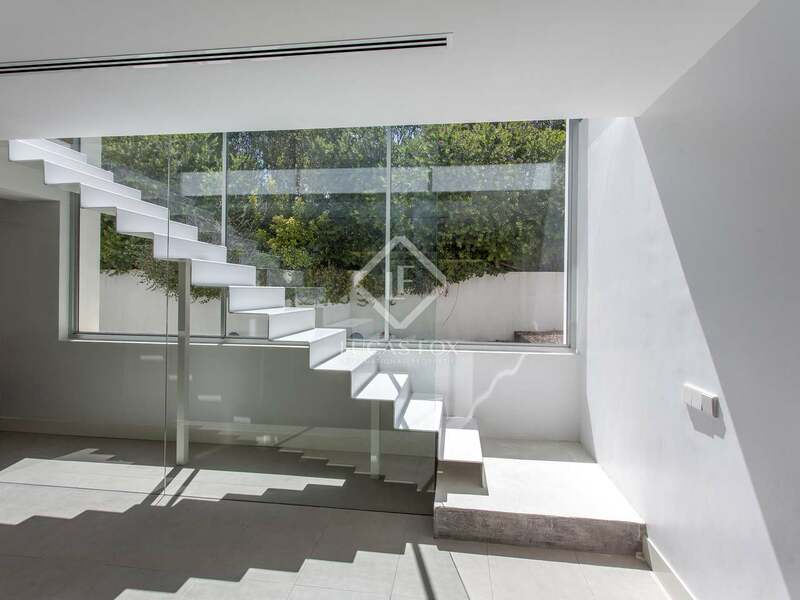 The house is distributed between 2 floors plus the basement. 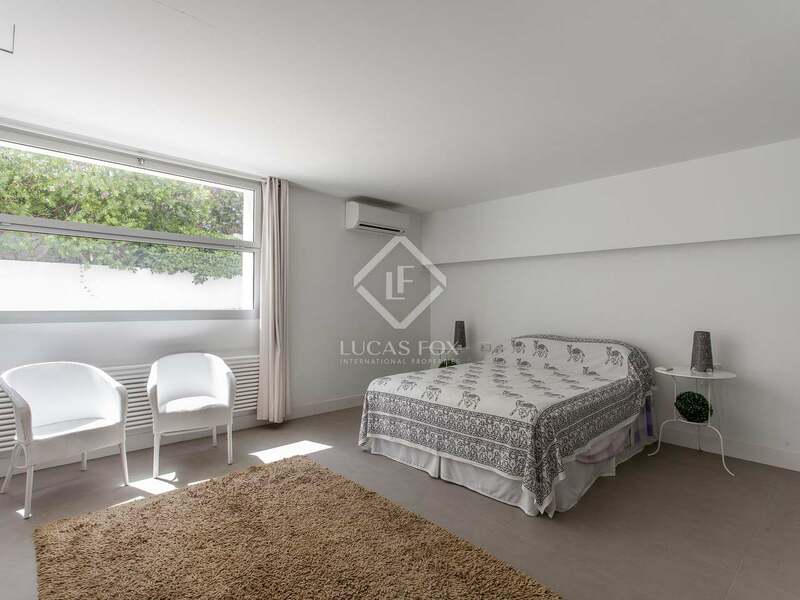 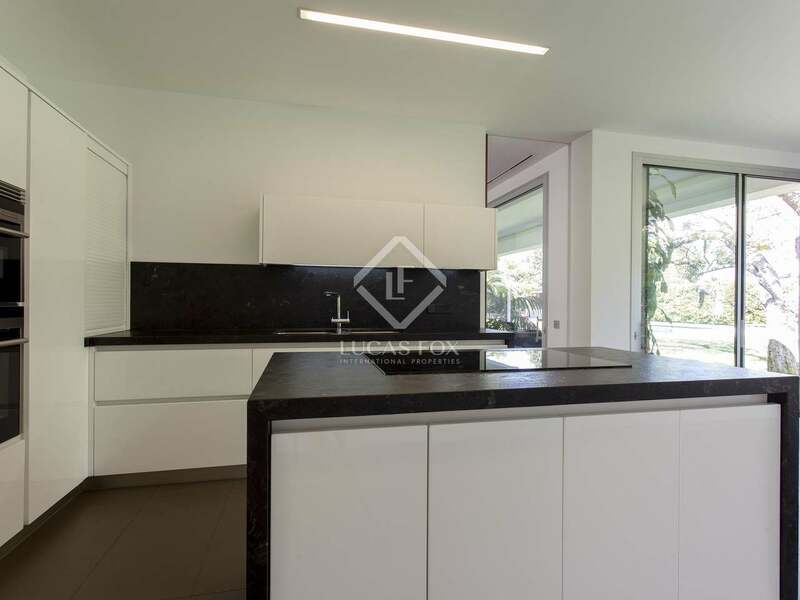 On the ground floor there are the main rooms: the living room with a fireplace and exit to the garden through two large terraces, the kitchen, a toilet, the office, the master bedroom with a walk-in closet and bathroom, and another double bedroom . 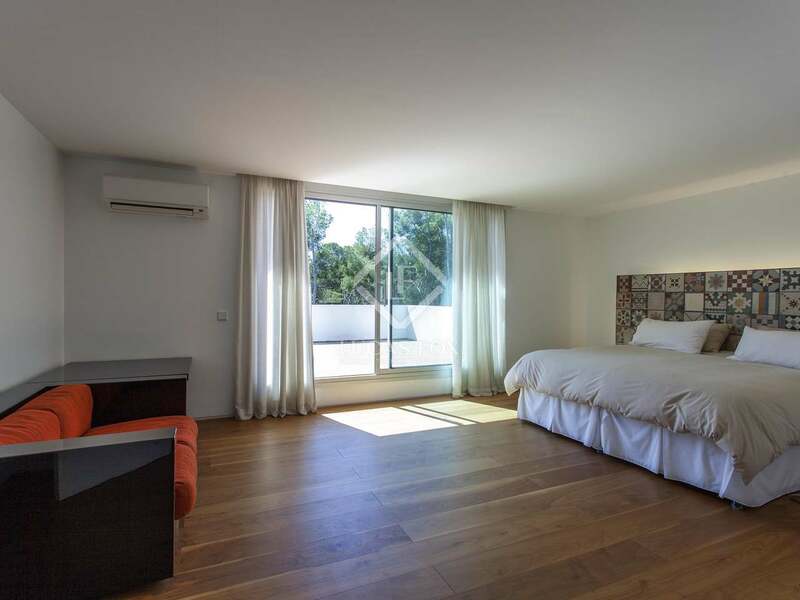 The upper floor has a large double bedroom with a terrace and full bathroom, perfect for guests. 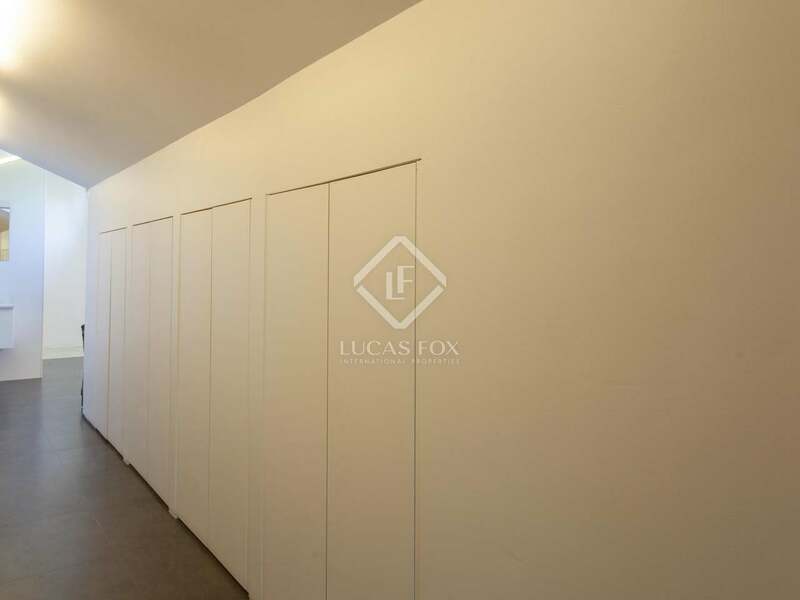 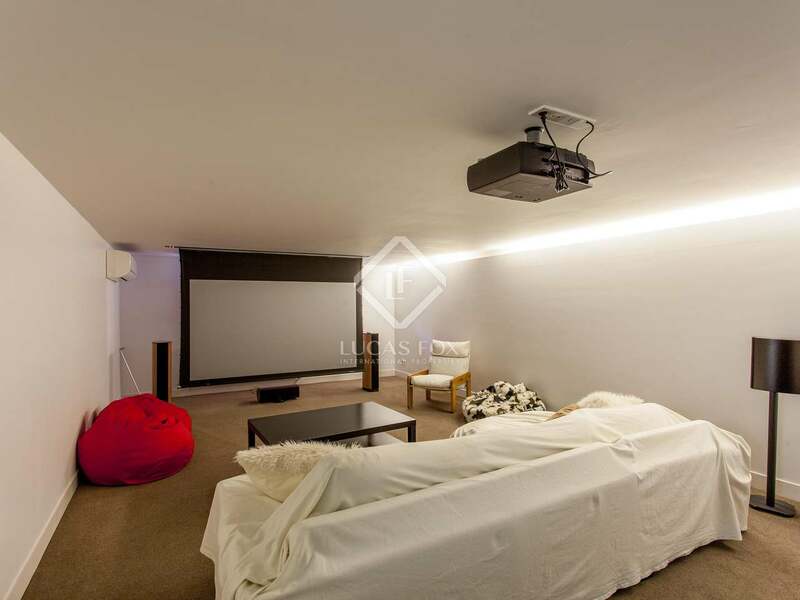 The basement, which stands out for its brightness thanks to its large windows, offers a large game room, a double bedroom with full bathroom, a toilet, a cinema room, a studio apartment with a kitchen, a guest bedroom and bathroom, a laundry room, two storage rooms and the garage with capacity for 3 cars. 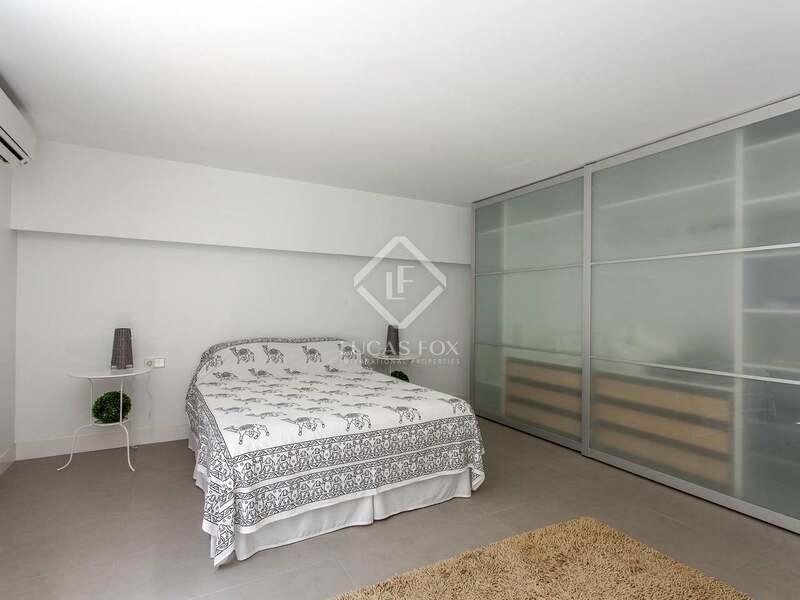 All the bedrooms are double and they are very spacious, with fitted wardrobes and / or walk-in closets. 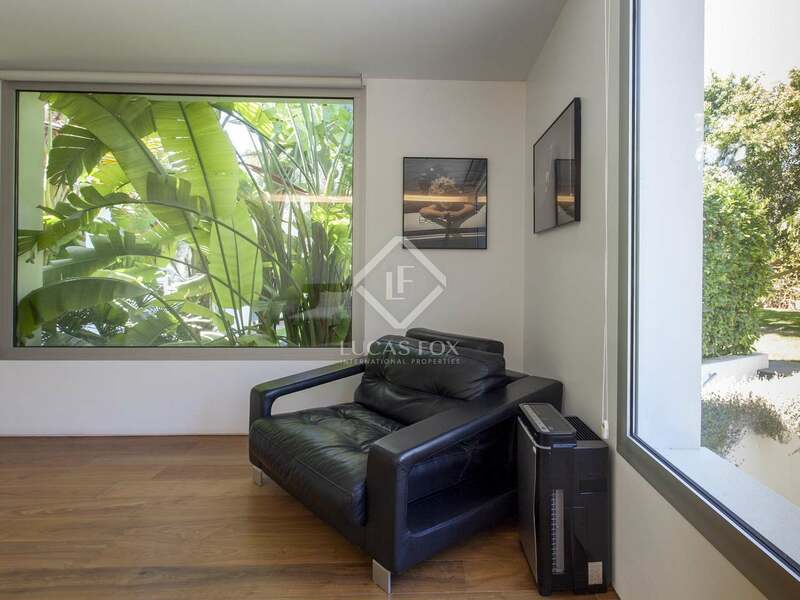 In addition, the office on the ground floor can be used as a bedroom, if preferred. 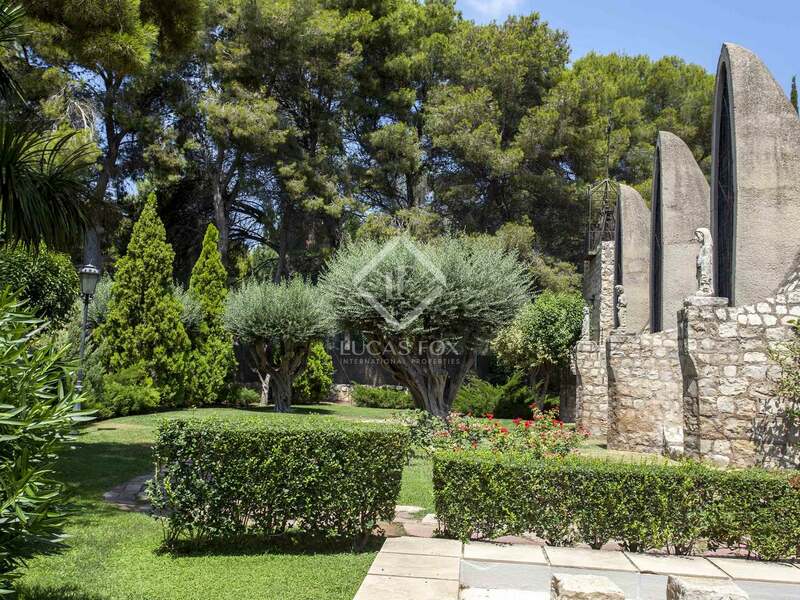 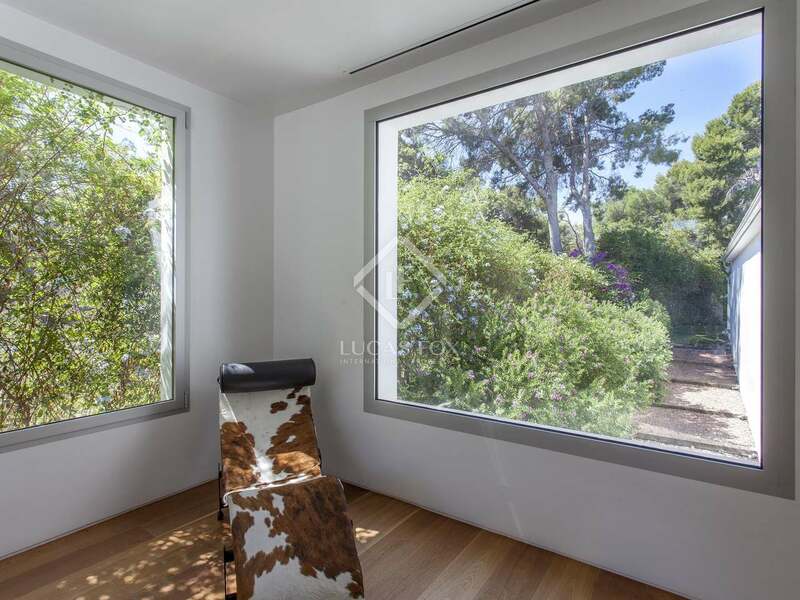 The house enjoys views of the garden and the trees surrounding the upper part of the residences, and is presented with excellent finishes. 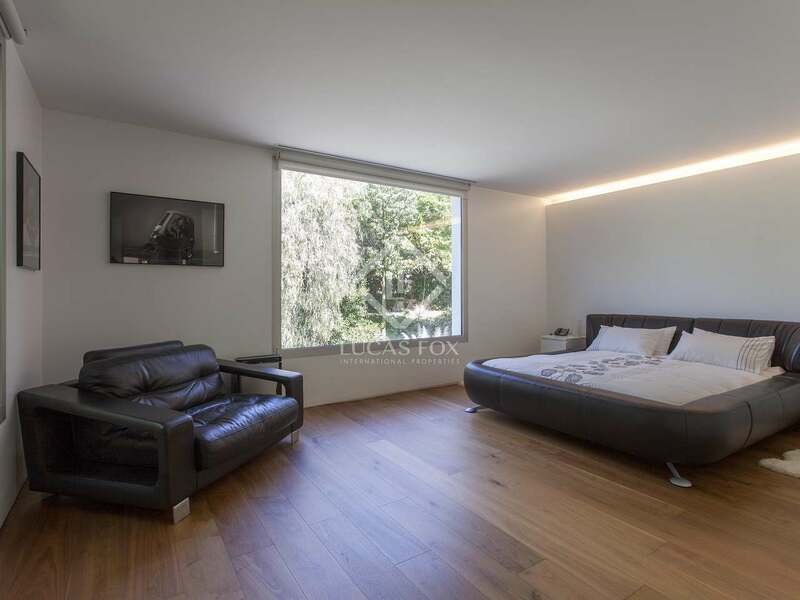 The floors are mostly walnut and marble and the house has heating, air conditioning, double glazed windows and white lacquered doors. 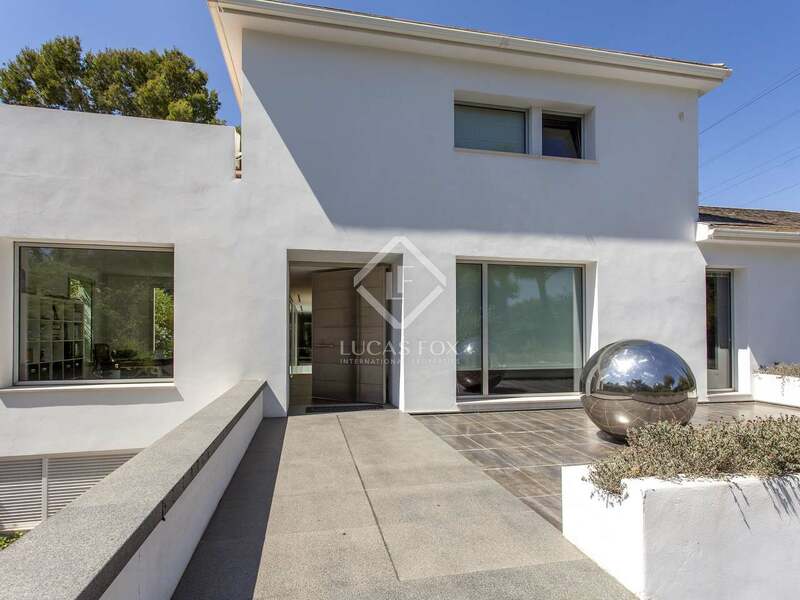 This spectacular home would be ideal for a family looking for a house with lots of space and excellent exteriors in a fantastic residential area. 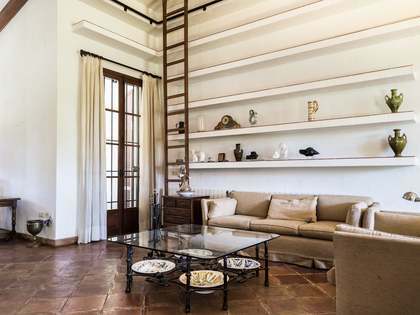 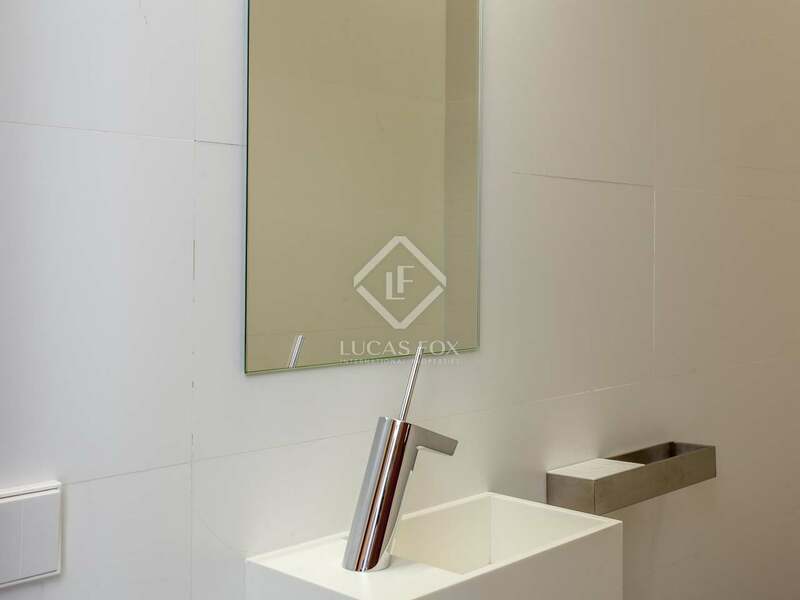 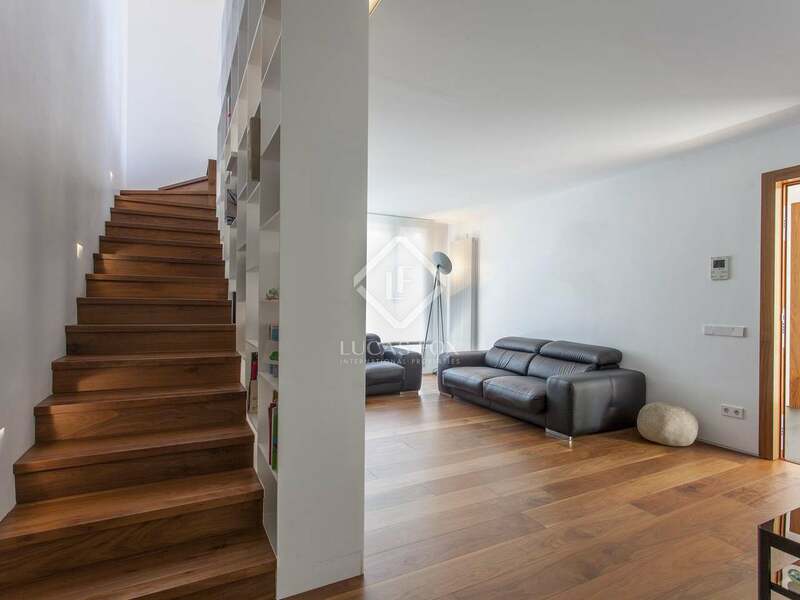 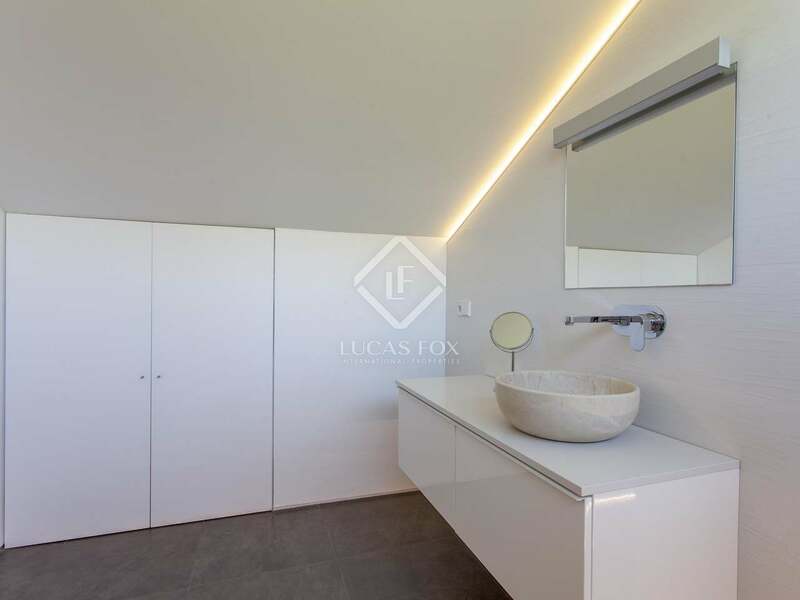 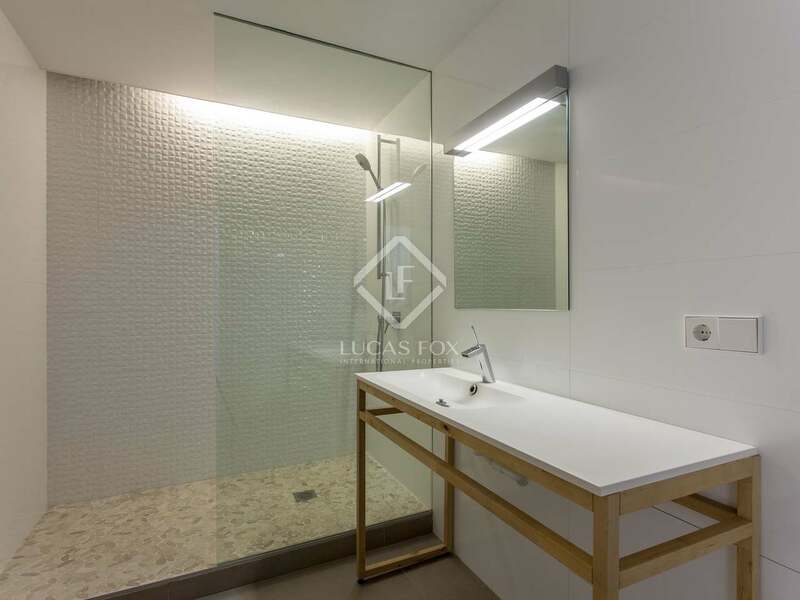 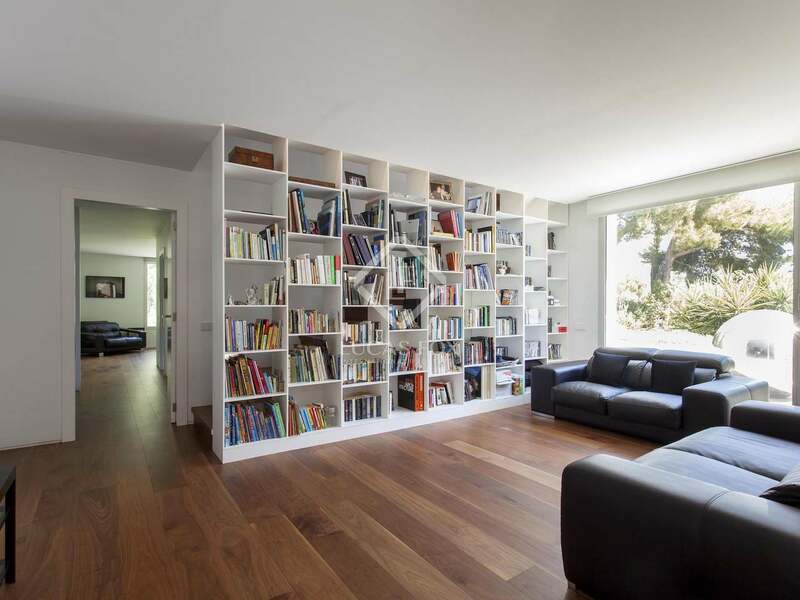 This house located in the residences of Santa Bárbara de Rocafort, one of the best developments in Valencia. 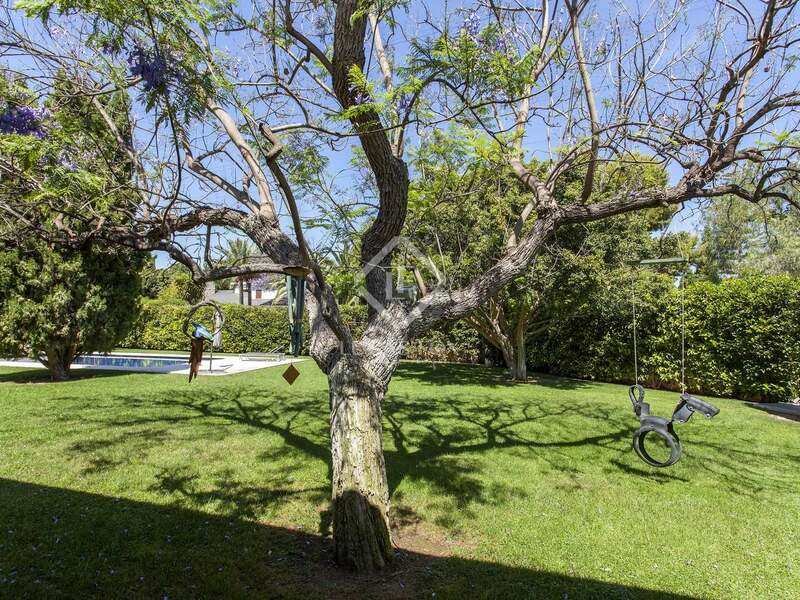 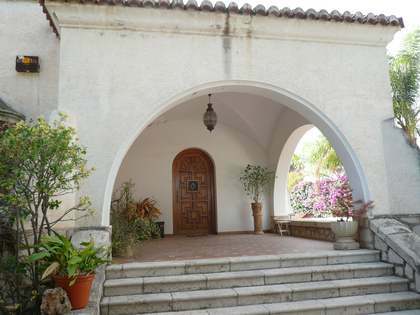 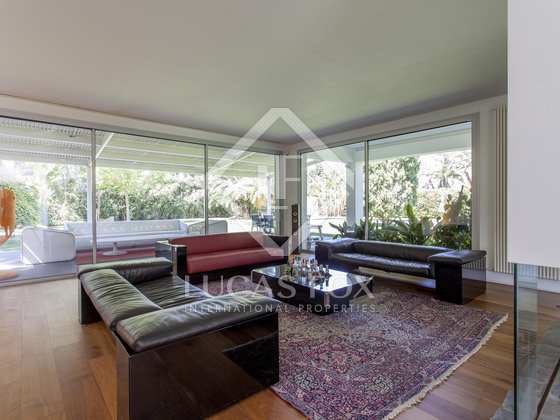 It is very close to the prestigious international Cambridge school and the Spanish Tennis Club.